While most Emery shipments were routine for both the company and its customers, Emery prided itself on meeting highly specialized needs. To prove this claim, a series of mailings was created, each focused on the story of an unusual shipment. 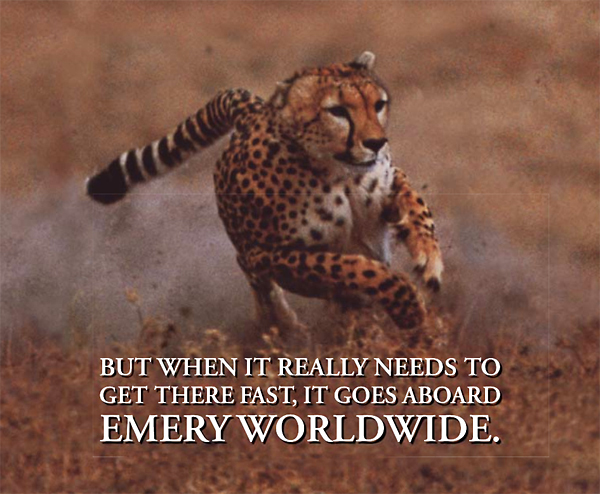 In this case, Emery was responsible for shipping a family of cheetahs from Texas to California on an extremely tight deadline. The self-mailer tells the story of that shipment and demonstrates the value of doing business with a company that provides customized logistics management and other services to meet virtually any need. 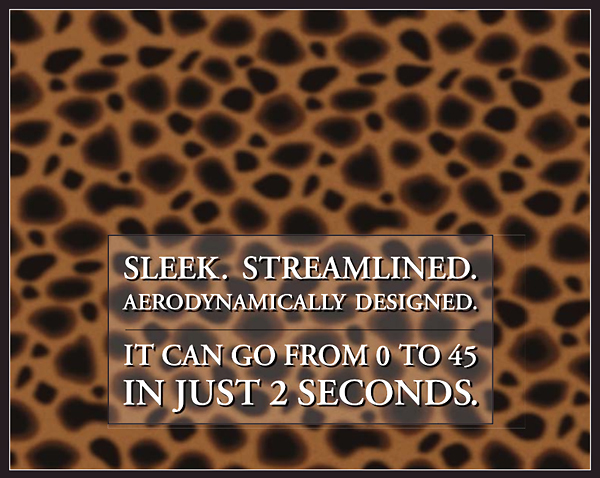 Here are a few excerpts from the mailing. You can read the entire piece in this PDF.